PEACHTREE CITY, Ga. — The National Weather Service has extended its wind chill advisory through 10 a.m. Thursday, Jan. 18. Some north Georgia schools and universities will close today or change schedules due to the inclement weather. 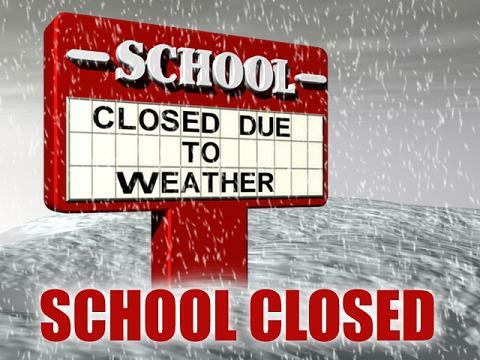 Dawson County schools will be closed today and will treat the day as an online learning day. All staff should report at 9:30 a.m. if safe to do so. Lumpkin County schools will be closed today. Staff should report at 9:30 a.m. if safe to do so. White County schools will be closed. Truett McConnell University will delay opening until 10 a.m. Thursday. The University of North Georgia Dahlonega campus will resume normal operations today. All other UNG campuses will open at 11 a.m. The administration is evaluating the weather situation and will re-evaluate the weather and road conditions throughout Wednesday evening. A wind chill advisory remains in effect until 10 a.m. today for the following counties: Dawson, Lumpkin, White, Dade, Walker, Catoosa, Whitfield, Murray, Chattooga, Gordon, Floyd, Bartow, Cherokee, Forsyth, Hall, Polk, Paulding, Cobb, North Fulton, Gwinnett, Haralson, Carroll, Douglas, South Fulton, DeKalb, Rockdale, Heard, Coweta, Fayette, Clayton, Spalding, Henry, Troup, Meriwether, Pike and Harris. * WHAT — Very cold wind chills expected. The cold wind chills will cause frostbite in as little as 30 minutes to exposed skin. Expect wind chills to drop to between 5 above zero and 5 below zero overnight. * WHERE — Portions of north central, northwest and west central Georgia. * WHEN — Until 10 a.m. EST Thursday. * ADDITIONAL DETAILS — Due to the snowfall that has occurred, roads will remain icy and treacherous as temperatures remain below freezing the remainder of today through Thursday morning. If you must drive, use extreme caution. The cold wind chills may cause frostbite in as little as 30 minutes to exposed skin. PRECAUTIONARY/PREPAREDNESS ACTIONS — A Wind Chill Advisory means that cold air and the wind will combine to create low wind chills. Frost bite and hypothermia can occur if precautions are not taken. Make sure you wear a hat and gloves. PEACHTREE CITY, Ga. — Schools in Dawson, Lumpkin and White counties are closed today (Wednesday, Jan. 17). 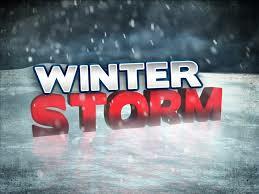 Lumpkin County 12-month staff is asked to report at 10 a.m. or when it is safe to do so. The closings follow a winter weather advisory issued today by the National Weather Service that remains in effect until 4 p.m. in the following counties, Dawson, Lumpkin, White, Banks, Jackson, Madison, Barrow, Clarke, Oconee, Oglethorpe, Wilkes, Walton, Newton, Morgan, Greene, Taliaferro, Butts, Jasper, Putnam, Hancock, Warren, Upson, Lamar, Monroe, Jones, Baldwin, Washington, Glascock, Jefferson, Talbot, Taylor, Crawford, Bibb, Twiggs, Wilkinson, Johnson, Muscogee, Chattahoochee, Marion, Schley, Macon, Peach, Houston, Bleckley, Laurens, Stewart, Webster, Sumter, Dooly, Crisp, Pulaski, Wilcox, and Dodge. * WHAT — Occasional light snow. 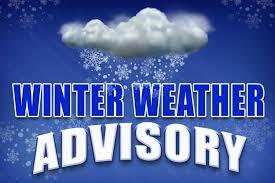 Additional snow accumulations of up to one inch are expected. * WHERE — Much of middle and east central Georgia. * WHEN — Until 4 p.m. this afternoon. * ADDITIONAL DETAILS…Be prepared for reduced visibilities at times. Roads will likely become hazardous later today as temperatures continue to fall below freezing. Fetch Your News understands the serious impact that extreme weather can have on our readers. That is why our reporters work around the clock to bring you the most up-to-date information on school closings, road closings, power outages and the availability of emergency shelters. PEACHTREE CITY, Ga. –- The National Weather Service in Peachtree City has issued a winter weather advisory that will go into effect from 1 a.m. until 1 p.m. Monday. * WHAT — Light freezing rain expected. Total ice accumulations of around one-tenth of an inch or less are expected. * WHEN AND WHERE – The first advisory will go into effect for far northwest Georgia at 1 AM until 11 AM. The second advisory will go into effect for north-central Georgia at 5 AM until 12 AM. The third advisory will go into effect at 6 AM until 1 PM for northeast Georgia. ADDITIONAL DETAILS…The ice will result in difficult travel conditions, including during the morning commute on Monday. Total ice accumulations of one-tenth of an inch or less are expected. PRECAUTIONARY/PREPAREDNESS ACTIONS — Winter Weather Advisory means that periods of freezing rain will cause travel difficulties. Be prepared for slippery roads. Slow down and use caution while driving. 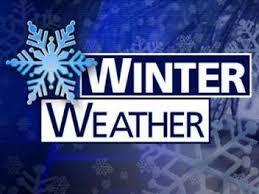 Dawson County School Superintendent Dameon Gibbs has announced that Dawson County schools are closed today. White County School Superintendent Dr. Jeff Wilson announced today that schools will be closed Monday, Jan. 8, for students and staff due to the Winter Weather Advisory and threat of freezing rain. School will be closed for students and staff. PEACHTREE CITY, Ga. – The National Weather Service issued the following urgent winter weather message at 4:49 a.m. Friday. A wind chill advisory remains in effect until 9 a.m. today in the following counties, Dawson, Lumpkin, White, Dade, Walker, Catoosa, Whitfield Murray Fannin, Gilmer, Union, Towns, Chattooga, Gordon, Pickens, Bartow and Cherokee. * WHAT — Very cold wind chills expected. Expect wind chills to range from 5 above zero to 5 below zero. * WHERE — Portions of far north Georgia. * WHEN — Until 9 AM EST this morning. * ADDITIONAL DETAILS– The cold wind chills will cause frostbite in as little as 30 minutes to exposed skin.